Indeed. Which raises the question: Why hasn’t this thing been settled already? After all, in another passage in a 28-page reply brief submitted to the U.S. Third Circuit Court of Appeals on Friday, Riccio describes the leagues as “extraordinarily wealthy.” The horsemen? Not so much. A report last summer, for instance, showed that the state’s thoroughbred horsemen’s association owed $30 million to Darby Development, the company run by Monmouth Park owner Dennis Drazin that operates the Oceanport track. It has been difficult to impossible for Monmouth Park to break even each year because, unlike rival tracks in other states, it does not feature slot machines that lead to purse subsidies that make those tracks more appealing to horsemen. Wealth inequality such as that between the sports leagues and the horsemen tends to be the basis for many settlements. The horsemen need money, and the leagues need to end this aggravation, as well as possibly awkward in-house revelations about their stance on sports betting over the years. But the horsemen persevered, along with state elected officials, from 2012 to May 2018, when the U.S. Supreme Court nullified the Professional and Amateur Sports Protection Act of 1992 and opened the door for any state to legalize the gambling. Plus, well, horsemen are gamblers, aren’t they? As for the leagues (NFL, NBA, MLB, NHL, NCAA), they have taken a public-relations hit on many fronts. Why did they embrace daily fantasy sports companies even while suing to prevent legal sports betting beyond Nevada? Why the abrupt about-face on gambling — especially the state-by-state regulation approach that they specifically opposed? Why do they want “integrity fees” now when presumably they already had a paramount interest in that area? Are they just annoyed with the horsemen? Are they so convinced that they have the better of the legal argument? Maybe and maybe. Is this another Ivey vs. Borgata? There has been enough verbal sparring in this case that it reminds me of the ongoing — and now also in the same Third Circuit — epic five-year legal fight between the Borgata casino in Atlantic City and professional poker player Phil Ivey. This is the one where Ivey, back in 2012, took the casino for a total of $10 million while playing mini-baccarat for up to $100,000 per hand alongside a partner who can recognize tiny asymmetries in the design on the back of playing cards. That one seems even more likely to continue indefinitely because — unlike the horsemen — Ivey presumably has plenty of cash available for legal fees. Casino officials have to be steamed that not only did Ivey pull off the (possibly legal) caper, but it only happened thanks to the willing actions of unwitting dealers and other casino employees. So it’s hard to imagine they don’t want to extract their pound of flesh. As for Ivey, there seems to be a genuine philosophical stance that it’s not right that the casinos can employ all sorts of tactics to gain an edge, and then when a player turns the tables, so to speak, all of the sudden a casino wants to cry foul. I would be shocked if either case ever settled — maybe not even until the Supreme Court is asked to step in once again — if not for one previous experience. Never say never, as I was always tempted to do while I covered the seven-year saga (wait, does this writer have sagas coming at him all the time? Yes, yes he does) of Brooklyn condo owner Daniel Goldstein’s quixotic fight against construction of Barclays Center as home for the former New Jersey Nets basketball team. That case came down to this: Goldstein bought a condo in early 2003 for $590,000 just months before real estate mogul Bruce Ratner announced his purchase of the Nets for $300 million. The new arena’s footprint included Goldstein’s building. 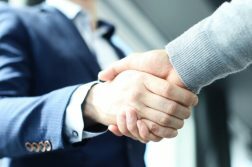 Eventually all of the other tenants accepted buyouts — many of them eagerly, because they received significantly more than they paid. But Goldstein was just settling down and starting a family, and he dug in his heels. The case dragged on for years, and even a New York judge pulling the well-worn “you two sides better settle this — or be prepared for me to make a ruling that leaves you both even worse off” gambit went to no avail. So if that bitter showdown can wind up in a settlement, any showdown can. 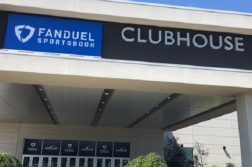 The latest filing once again goes over the fact the the horsemen want more than $3 million from a bond ordered by the U.S. District Court of New Jersey in 2014 to account for a two-week period, and then another $147 million for damages that continued right up until last summer’s opening of the William Hill Sportsbook at the racetrack last summer. 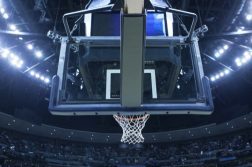 Attorneys for the leagues argue a variety of defenses, including that they acted in “good faith” in obtaining the original injunction to stall the sports betting. The horsemen again go on the attack, saying that league commissioners offered “an array of materially false sworn statements” in various depositions. “The Leagues’ Response does not, because it cannot, dispute the fact that the Leagues’ top officials repeatedly lied under oath,” writes Riccio, setting the stage for a league rebuttal to come. The details of this war of briefs is rather complicated; at first, I thought the leagues might have found a fatal flaw in the horsemen’s arguments, which is why the leagues have prevailed (yet again) at the U.S. District Court level.